This week was playoffs and finals for both the boys basketball teams and girls volleyball teams. The 8th grade girls played great matches and made it to the semi-final where they lost to Corona del Mar. 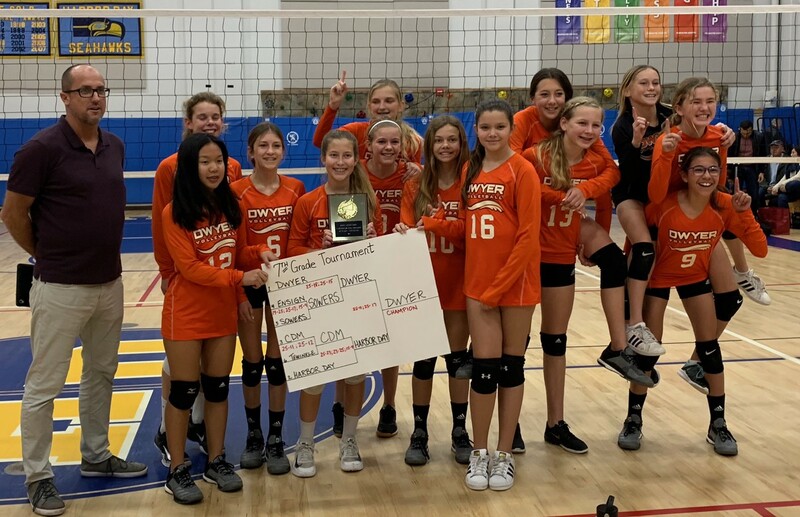 The 6th/7th grade girls volleyball team (pictured below) was a tough team to beat all season. They played in the finals against Harbor Day and came out as champions. 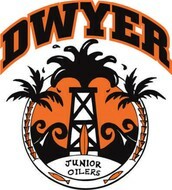 Way to go, Jr. Oilers! The boys basketball teams also played against some fierce competition this week. 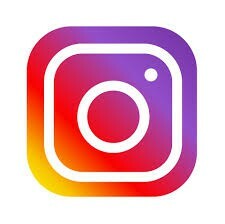 We will update basketball results next week! Great job to all our athletes! 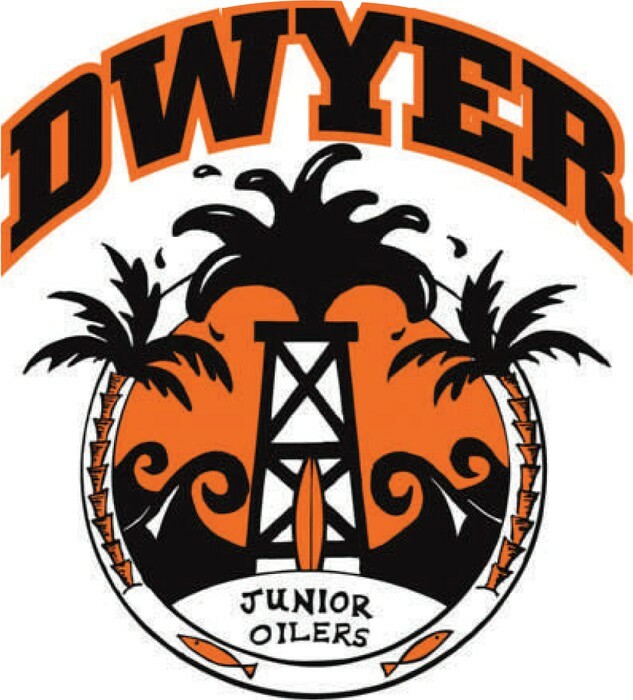 Dwyer is excited to invite you to Open House this Thursday, February 21. 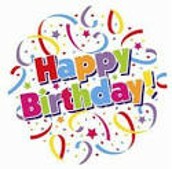 We will have musical performances and food from 5:30 - 6 PM out in front of the main building. Classrooms will be open for visitations from 6 - 7 PM, with food sales continuing. There will also be intermittent student performances throughout the campus for you to enjoy as you move about. 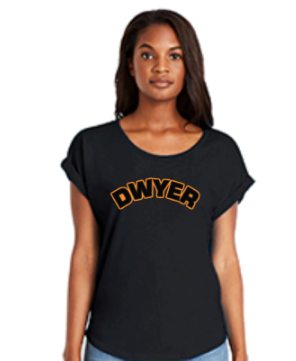 All food sales will directly benefit Dwyer clubs. Please invite any prospective students and their families as well. 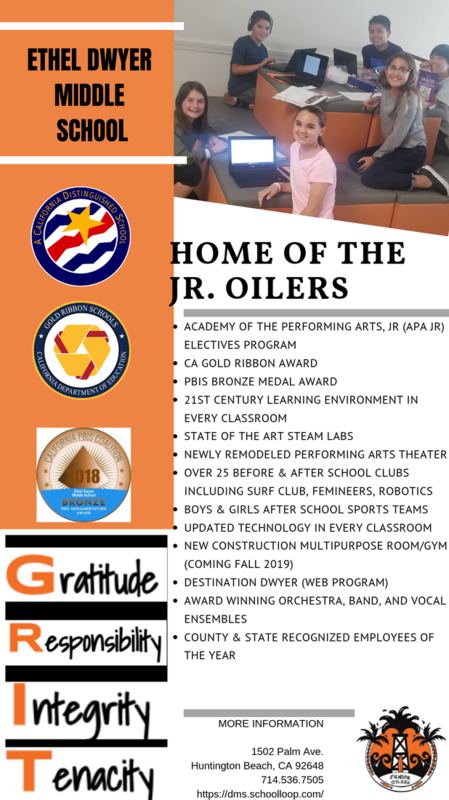 Below is the flier that was created to highlight some of our programs! 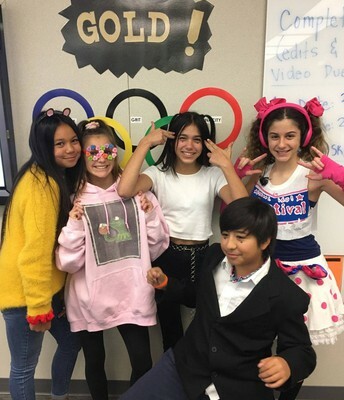 Students dressed up for Random Acts of Kindness Week all week. 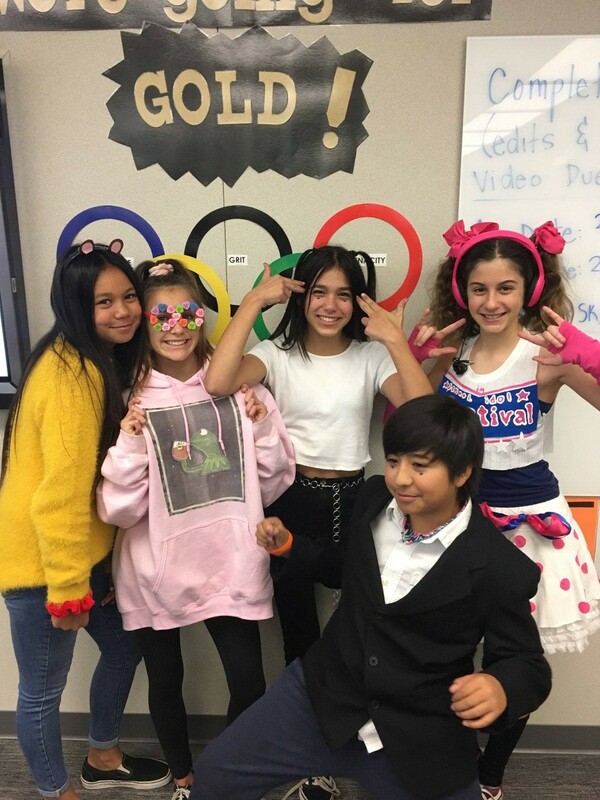 Here is an example of Meme Day, where students mimicked a popular meme! 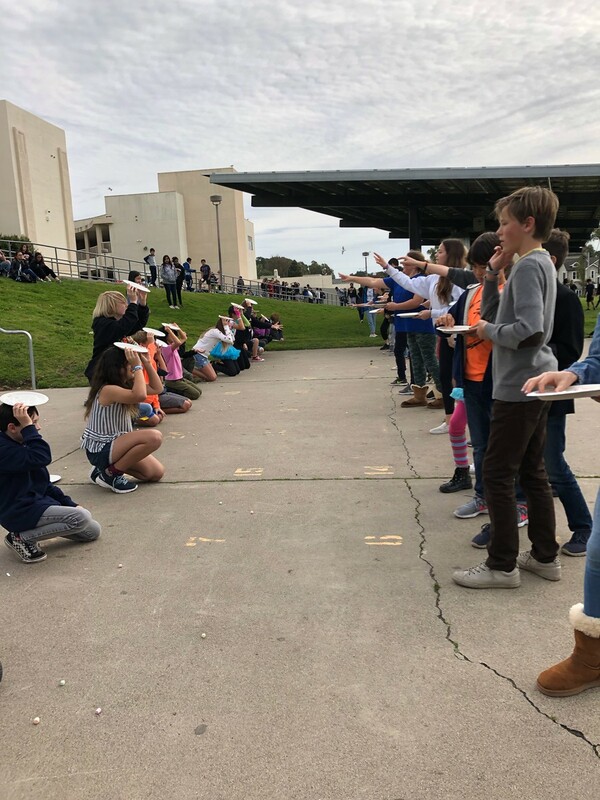 8th-grade students in Mrs. French’s class used three-dimensional learning to observe evidence of why the lunar surface passes through phases. 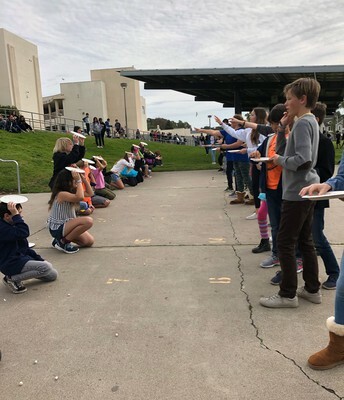 Students had the opportunity to use the science and engineering practice of developing and using a model of the Earth-sun-moon system to explain the cyclic patterns we observe each month of known as the phases of the moon. ASB hosted a lunchtime activity this week called "Mount Sweet Heart." 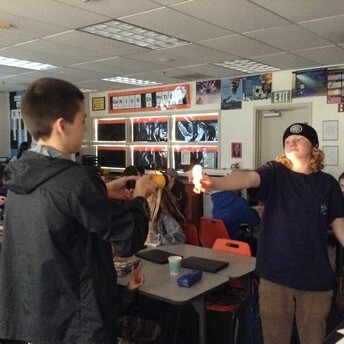 Students answered heart smart questions for opportunities to throw marshmallows on a partner's plate.